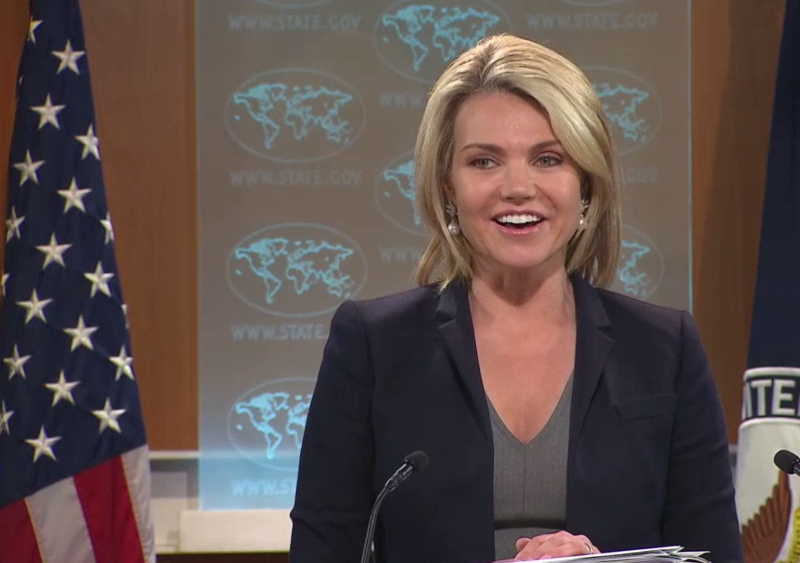 Today, U.S. Department of State spokesperson (and former Fox Newser) Heather Nauert gave her first press briefing to a packed room of reporters. The briefing took place more than a month after Nauert formally accepted the role on April 24. Before arriving at the State Department, Nauert had been an anchor at Fox News almost continuously since 1998, with a two-year stop at ABC News in between (2005-2007). In 2009, she briefly added anchoring at the Fox-owned New York station WNYW. Most recently, Nauert served as co-anchor of Fox & Friends First and news anchor for Fox & Friends.